Watching Dawn of the Planet of the Apes – an entertaining and effectively realized action-blockbuster, by all accounts – reminded me of just how much the idea of home is related to complete, all-out aggression. It is one of the key justifications for war, and if it isn’t Hollywood blockbusters that remind us of it, real-life world events will, unfortunately, persist in doing their darndest to ensure that we do not forget. From my sheltered and privileged standpoint, obsessing over national borders instinctively feels doubly surreal, as I – like many people of my generation, and many of those living in some kind of diaspora – have made the internet their second home. Cultivating and negotiating a virtual identity has become a direct part of who we are, and the more that shapes itself into the fabric of our day-to-day life, the more it will assume the likeness of an undeniable, self-evident and near-physical ‘space’ which we may feel justified in fighting over. Beyond the fever dreams of cyberpunk – from William Gibson to The Matrix – the web has become so ‘normal’ that it’s not far-fetched to assume that it will soon adopt other, less pleasant features of human ‘normality’ – our insistence on waging border wars being just another one of them. The ongoing debate over net neutrality is one explicit portent of the above, but I’m sure there will be many related polemics to come. Another thing that Dawn of the Planet of the Apes – or DOTPOTA, an acronym I love – brought to mind is the panicked and often messy way in which pop culture responds to contemporary anxieties, and processes ‘universal’ themes. To my mind, the film is great because its ‘message’ doesn’t feel like a tacked-on imposition, but part and parcel of its conceit. 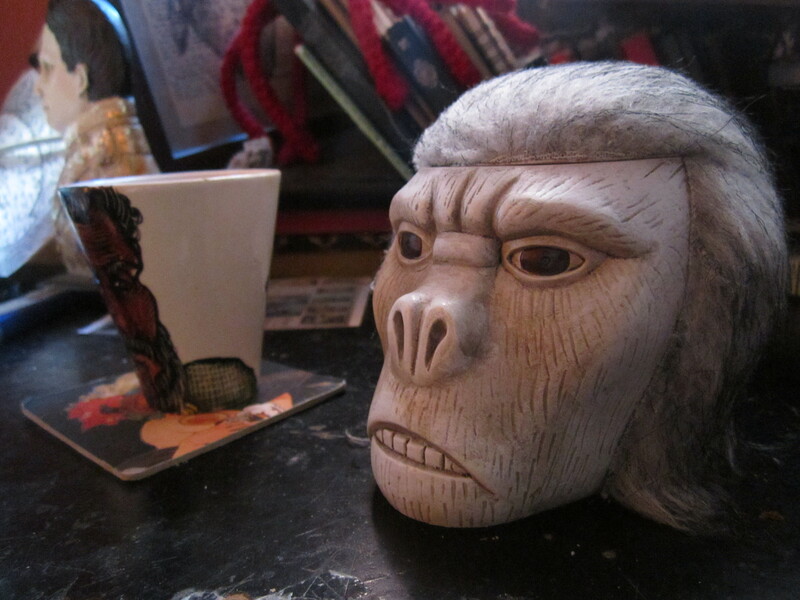 Of course, Matt Reeves’ continuation of the Planet of the Apes mythology reboot doesn’t really say anything new about the enduring phenomenon of border conflicts, or our stewardship of the earth. But I’d still like to think that it contributes to the discussion in its own way. Though even the word ‘discussion’ feels wrong here – it assumes a lilting, rational conversation about carefully ironed-out topics. 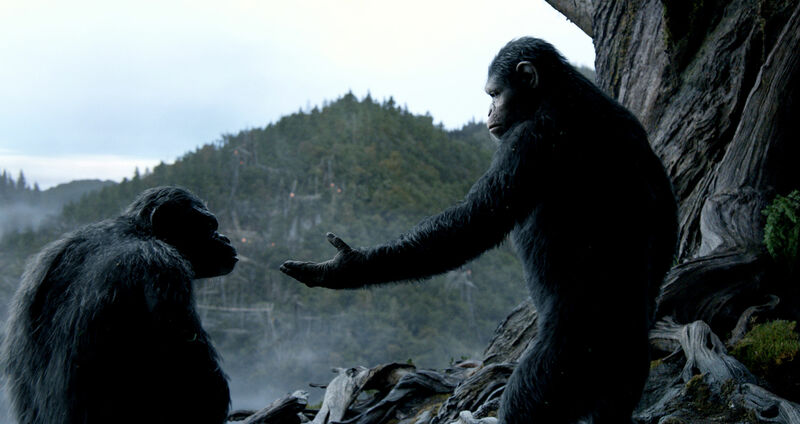 Because what we in fact get is far more chaotic: the necessities of crafting a crowd-pleasing blockbuster in which talking apes do battle with economically compromised humans only allows lucid allegory to slip through up to a point. The presence of Zero Dark Thirty actor Jason Clarke is significant here. Like DOTPOTA, Zero Dark Thirty is an action-intensive mainstream film shot with a gloomy palette that has become par for the course among blockbusters which aspire to court the critical consensus as well as the box office success that it is often assumed they would secure anyway. But unlike DOTPOTA, Zero Dark Thirty is about a very specific and very real event – a persistently controversial one, to boot. Katheryn Bigelow’s treatment of the steps taken to ensure the assassination of Osama Bin Laden is a fascinating watch even if you – like me – were unconvinced by its narrative thrust and troubled by its murky ethics. Whichever way you slice it, ZDT was a brave attempt at tackling a very recent and morally, politically fraught scenario. In the end its internal contradictions forced it to devour itself, but only because Bigelow aspired to tackle her subject head-on, with as little aesthetic filters as possible. This is where genre allegories like DOTPOTA have the upper hand. The way the message is processed is of course open to cynical interpretation: “It’s not really saying anything, they’re just re-treading secure narrative and thematic ground to ensure they make money at the box office”. But the mere fact that it’s out there, doing its thing for a large audience who will enjoy it – or not – on the surface level to begin with feels like some kind of potential triumph. Final question: as more of the world goes online, as more of the world does ideological battle online and as more of our personal identity is shaped and justified by our online presence, will the web be treated by poets much in the same way as the natural world has been treated in earlier times? This entry was tagged allegory, border conflicts, cyberpunk, Dawn of the Planet of the Apes, the internet, The Matrix, war, William Gibson, Zero Dark Thirty. Bookmark the permalink.